Your alarm suddenly chirps. Your sliding technique across the phone fails more than once and you’re just too groggy to make it to the shower. Once you unlock your Fort Knox of a phone though, you see an email from your school telling you to stay home. You can either choose to go back to bed or make a cup of coffee and finally watch Gilmore Girls when it comes on regular TV time. After you know what happens with Rory and Dean, you could either watch more TV or get your new boots on and head outside. If you’re a Lorelai Gilmore kind of gal or a Shaun White kind of dude, these schools that know how to kick it in the frosty air are perfect for you. 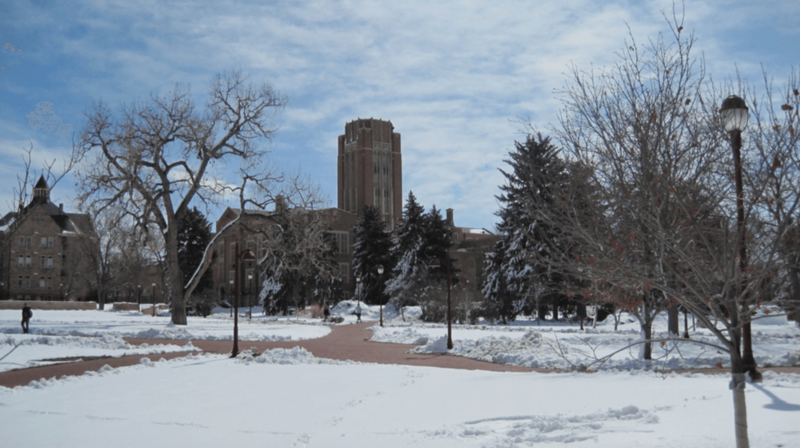 Denver averages about 60.3 inches of snow annually, and the students know how to take advantage of that. 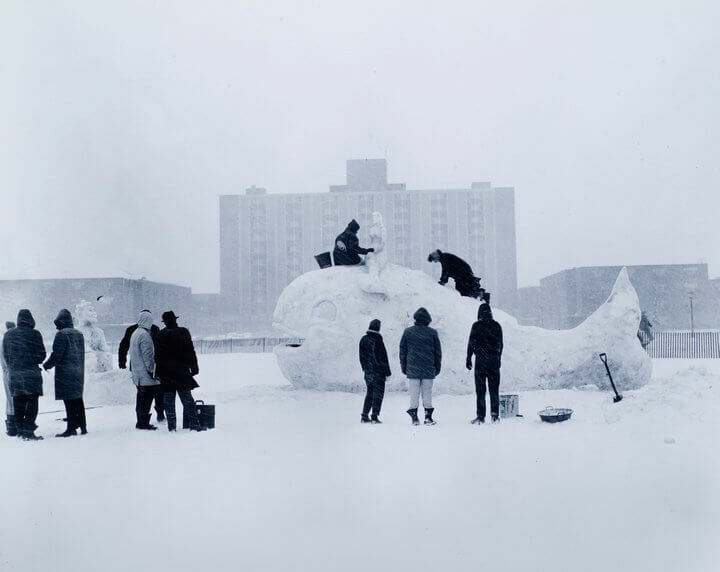 Starting in 1961, the university began celebrating the chilly weather with a winter carnival. “I went to the winter carnival last year, and it was a blast,” junior Jennifer Bruno said. “The snow tubing will always be my favorite.” To this day, students still buy hand warmers and new gloves so they can dominate the snow sculpture contest, ice-skating, snow tubing and more. They also throw a concert and a Snow Queen Competition for the inner Elsa in everyone. Students of UAF basically live in a snow globe. A snow globe that gets around 62 inches of snow throughout the year with frigid temperatures. Does the weather bother most students? Absolutely not. 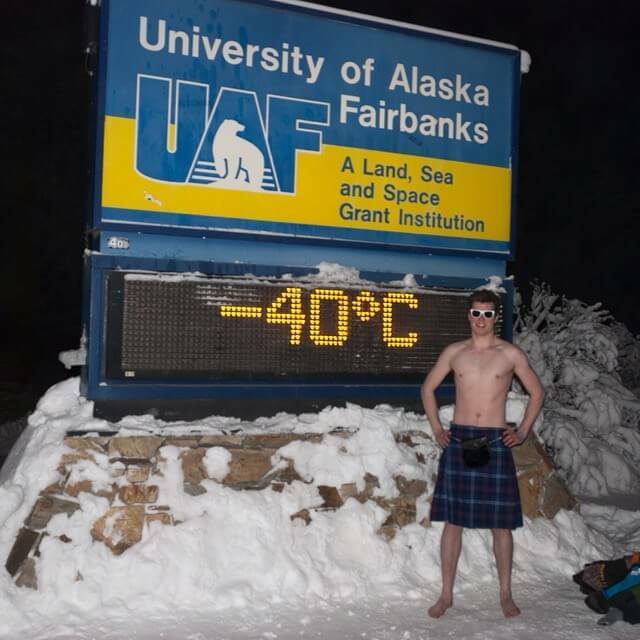 The students created the “40 Below Club” where the students change into their swimsuits and pose at the UAF sign when it drops below freezing. The frosty activity usually results in a bunch of pictures, and the students consider this a time-honored tradition. “UAF is about 200 road miles south of the Arctic Circle, so of course snow and ice are the foundation for many of our winter recreation activities,” said Marmian Grimes, UAF Public Information Officer. Those winter activities include skiing or snowboarding at Terrain Park, and ice fishing and camping at the Gulkana Glacier. Perched up in Ithaca, New York, this castle-like university experiences its fair share of snow days. I guess this Ivy is a little more “icy.” Bad joke. 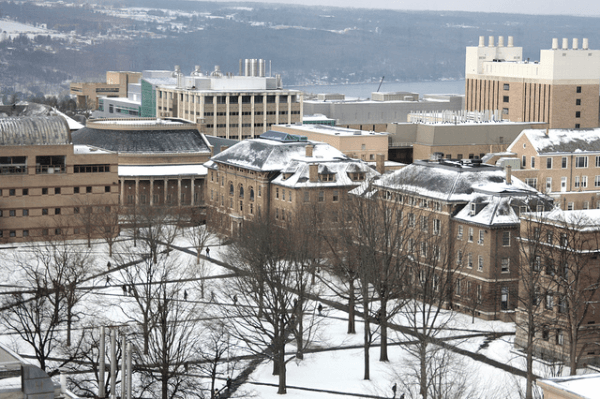 Cornell frolics in about 65 inches of snowfall each year. “It usually snows every day from November to March,” senior Allison LaRocco said. “Last year I got frostbite on my ears in the 20 minutes it took me to walk home.” The snow isn’t for everyone, but those who love the snow will find outdoor activities to cater to their passion for frozen precipitation. Skiing at Connecticut Hill sounds cool, but ice-skating at Cass Park and The Rink sounds better. 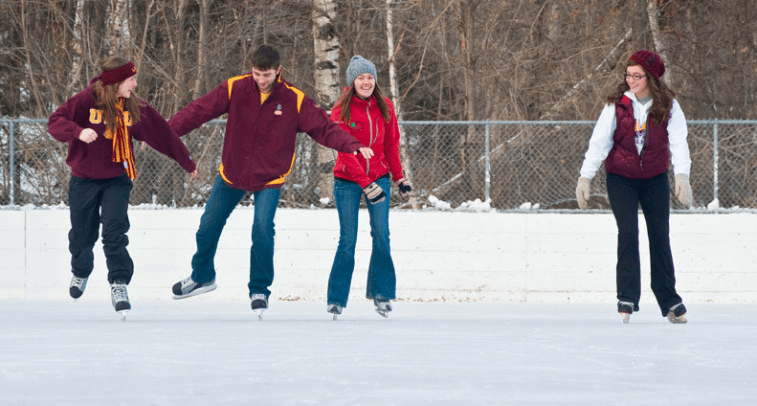 The ice rinks are close to campus and even offer figure skating lessons if you feel the urge to learn something new. Start practicing your figure 8’s if you’re planning to apply. 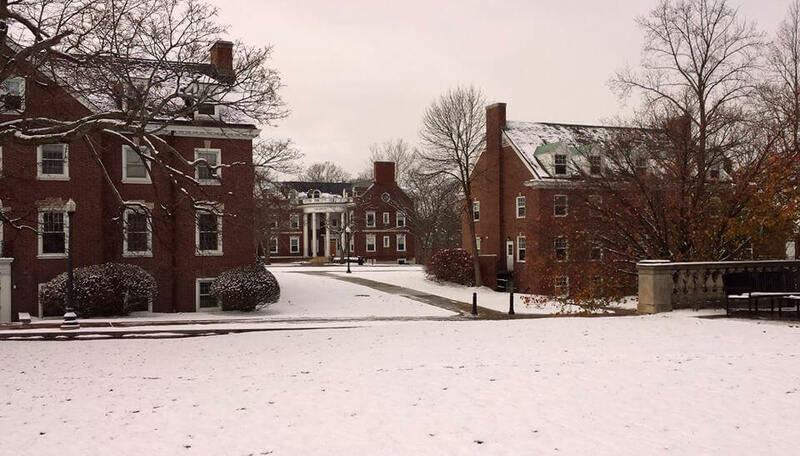 The gorgeous, brick campus in Hanover, New Hampshire sees a blanket of snow from around Thanksgiving through spring break. 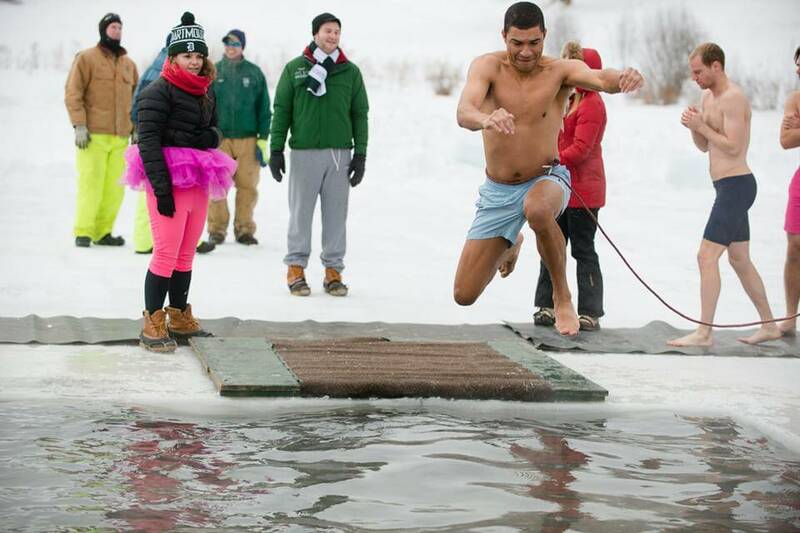 Dartmouth holds an annual winter carnival that began over a hundred years ago. 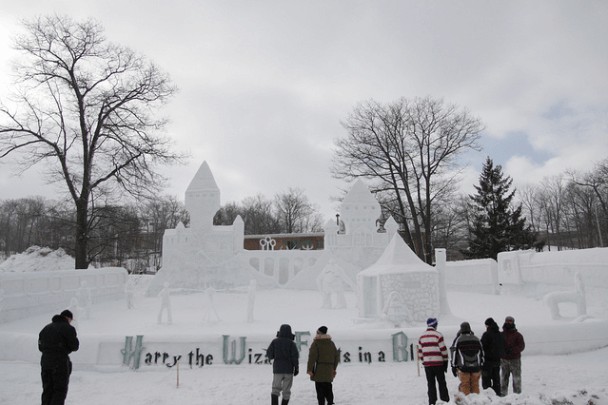 The Winter Carnival Council, along with the Collis Center for Student Involvement, organizes this three-day festival each year. Some of the activities in the Winter Carnival happen to be a lot of ice skating, a polar bear swim, cookies and cocoa, a film special and a 99-cent ski day. “The Winter Carnival as well as the normal outdoor snow activities are the best,” senior Alex Smith said. “It’s a great way to get all of us students together for some innocent fun.” Aspiring polar bears, grab your chisel and get ready for the annual ice sculpture contest, poster contest and more. SUNY Buffalo gets 94 inches of flurries each go ‘round the sun. No big deal, right? If blizzard survival isn’t a class option, it should become one. One thing UB students flock to on a day off is Winterfest. This festival came around over 50 years ago, and includes broomball, polar bowling, ice-skating, indoor events, chili in a bag, prizes and music. “It’s fun to see students out enjoying the weather, especially our international students, many whom have not experienced snow,” John DellaContrada, Associate Vice President for Media Relations said. 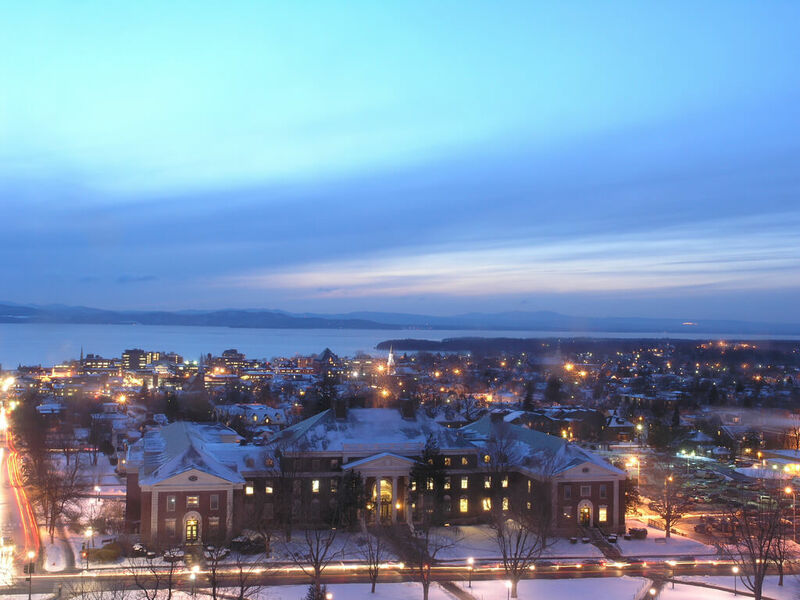 SU, commonly referred to as ‘Cuse, is a school in New York not meant for the warm blooded. This gorgeous university represents the color orange and tons of snow, 124 inches to be exact. 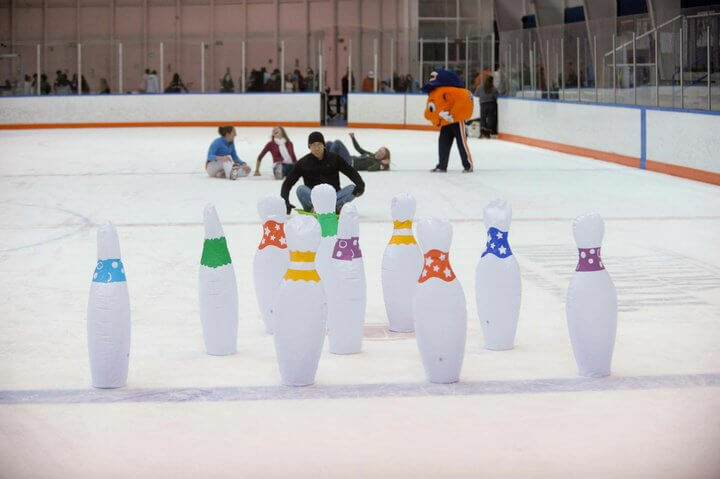 ‘Cuse celebrates the winter with a Winter Carnival that includes human dog sled races, ice-carvings, human bowling, chili cook-offs and snow sculptures. The human dog sled races put someone on a sled, and then two or three other humans pulling the sled with rope. So kids basically pretend to be Huskies for the day. “There are 2 seasons in Syracuse: Winter and Construction,” alum Georgia Pinter said.